A study has revealed that in an analysis of a procedure used to help prevent common duct injury during gallbladder removal surgery, use of intraoperative cholangiography (radiologic examination of the ducts during gallbladder surgery) was not associated with a reduced risk of common duct injury. The study can be found in the August 28 issue of JAMA. Kristin M. Sheffield, Ph.D., and Taylor S. Riall, M.D., Ph.D., of the University of Texas Medical Branch, Galveston, and colleagues investigated the association between intraoperative cholangiography use during cholecystectomy and common duct injury, using instrumental variable analysis, an effective way to overcome unmeasured confounding (i.e., factors influencing outcomes not found in the database). The researchers identified Medicare beneficiaries from Texas Medicare claims data who underwent inpatient or outpatient cholecystectomy for conditions including biliary colic or biliary dyskinesia, acute cholecystitis, or chronic cholecystitis. Percentage of intraoperative cholangiography use at the hospital and by surgeon were the instrumental variables. Patients with claims for common duct repair operations within 1 year of cholecystectomy were considered as having major common duct injury. A total of 92,932 Medicare beneficiaries 66 years or older underwent cholecystectomy at 307 hospitals in Texas from 2001 through 2009. There were 37,533 cholecystectomies with intraoperative cholangiography (40.4 percent) and 55,399 without (59.6 percent). Common duct injury occurred in 280 patients (0.30 percent). There were 201 common duct injuries (0.36 percent) in patients undergoing cholecystectomy without intraoperative cholangiography and 79 injuries (0.21 percent) for those having an intraoperative cholangiography. “In a logistic regression model controlling for patient, surgeon, and hospital characteristics, the odds of common duct injury for cholecystectomies performed without intraoperative cholangiography were increased compared with those performed with it. 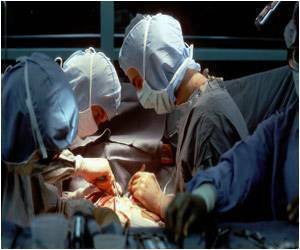 When confounding was controlled with instrumental variable analysis, the association between cholecystectomy performed without intraoperative cholangiography and duct injury was no longer significant,” the authors write. “Failure to account for potentially confounding variables not routinely captured in administrative databases has a major effect on the interpretation of the findings. Intraoperative cholangiography was not associated with significant reduction in common duct injury using instrumental variable analysis. Instrumental variable analysis balances unmeasured confounding variables to better align risk factors in comparator groups. With better control for unmeasured confounding variables, intraoperative cholangiography was no longer associated with common duct injury. Based on these results, routine intraoperative cholangiography should not be advocated as means for preventing common duct injury,” the researchers conclude. Editor’s Note: This study is supported by grants from the National Institutes of Health. All authors have completed and submitted the ICMJE Form for Disclosure of Potential Conflicts of Interest. Dr. Kuo reports a pending grant with the Agency for Healthcare Research and Quality. No other disclosures were reported. In an accompanying editorial, Karl Y. Bilimoria, M.D., M.S., of the Feinberg School of Medicine, Northwestern University, Chicago, and colleagues comment on the findings of this study.